Cargo (2017) is a film released on Netflix that stars Martin Freeman as a father looking to help his baby survive a zombie apocalypse in Australia. What is unique about this film is that the protagonist is already done for as he has been infected with the virus and knows he only has 48 hours to find someone to take care of his daughter before he turns. As you would expect, when any form of an apocalypse comes the good and bad come out of people and he encounters both in this tale of self-sacrifice and survival. 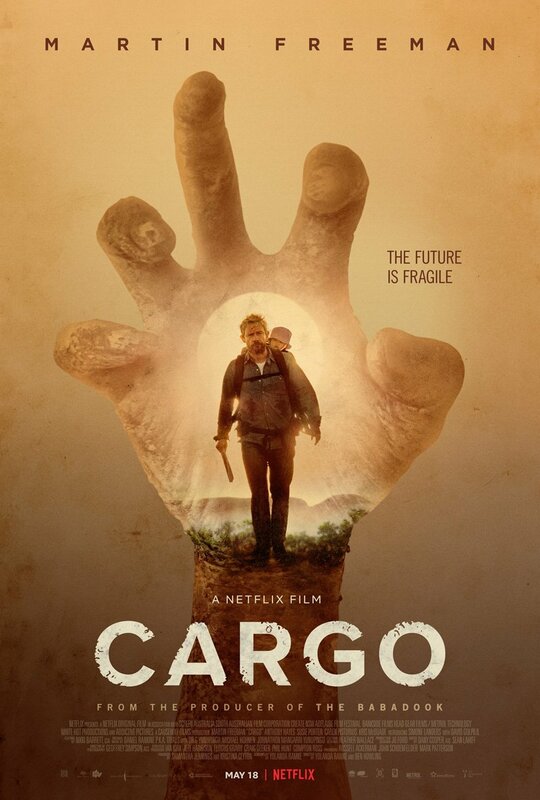 Cargo is based on a short film of the same name that was made independently and circulated through film festivals that got this full-length feature made. If you are looking to take a break from binge-watching TV shows on Netflix this is worth watching. Indie filmmakers should take now that if you get enough eyes o your project your film can get the same treatment. Something to keep in mind as the next NJ Horror-con and Film Festival approaches.